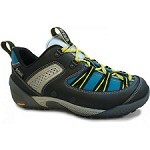 These Canyoning shoes are optimally designed to offer protection and grip to water activities. 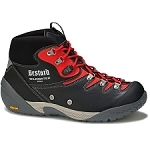 Their robust structure combined with an abrasion resistant TPU and neoprene lining to retain water and keep your feet warm even in the most frigid waters. 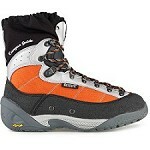 Includes full forefoot adiPRENE®+ for forefoot propulsion & efficiency. The TRAXION sole offers extraordinary adherence capacity on damp and wet surfaces. 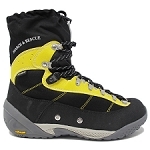 With more specially adapted design features such as the easy closure, soft shaft to above the ankle with a Velcro closure, a very good insulating neoprene liner and optimum damping, the Terrex Hydro Lace makes a perfect shoe for water sports adventures.